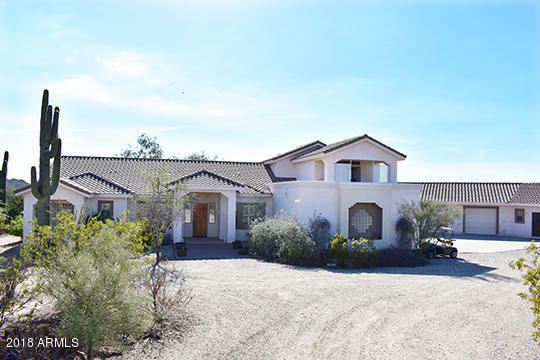 All Saguaro View homes currently listed for sale in Surprise as of 04/23/2019 are shown below. You can change the search criteria at any time by pressing the 'Change Search' button below. "PRIVATE DESERT RETREAT on 3-acres close enough to enjoy Spring Training games! $2000 ALLOWANCE FOR UPDATES SO BUYER CAN CHOOSE EXACTLY WHAT THEY WANT! What a wonderful custom home for entertaining and hanging out with family and friends--spacious entry invites you into the home's sitting and formal dining area. Master suite includes large bedroom, fireplace and separate exit to patio. Master bath includes a large snail shower, garden tub, his & her vanities & walk-in closets. Gather in your kitc"